Sixty-six boys and twenty guests have applied for tickets – have you!? Please click here for the current list of attendees at CHSB90. This will be updated regularly. Please note that the cut-off date for attendees to have their name included in the Commemorative booklet is Monday 17th September 2018. Bookings will still be taken after then but their names will not be included. Please click here to apply for your CHSB90 tickets as soon as possible. The Annual Golf Day at Bognor Golf Club has been re-arranged for October 18, 2018, just two days before the Anniversary Event scheduled for October 20, 2018. Please email us your application using the address on our above contacts page and your golfing intentions or if you have any questions about either event. The application form now includes an IBAN (International Bank Account Number) so that overseas members can transfer funds without difficulty both for tickets and annual subscriptions. 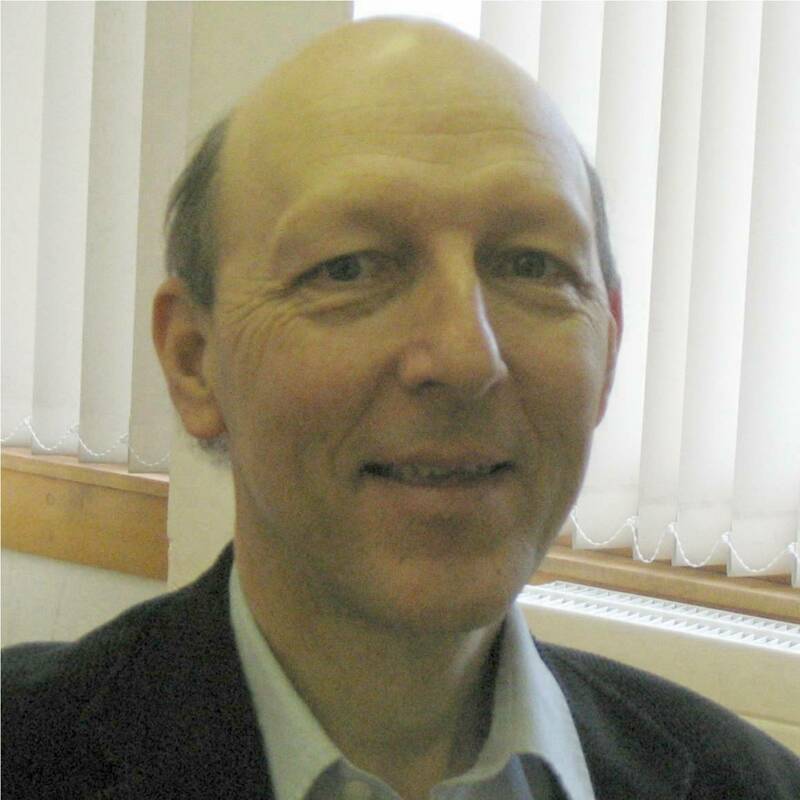 You will have an opportunity to meet and listen to David Wood OBE. Please click here to read about his success on stage, screen, television and in print. 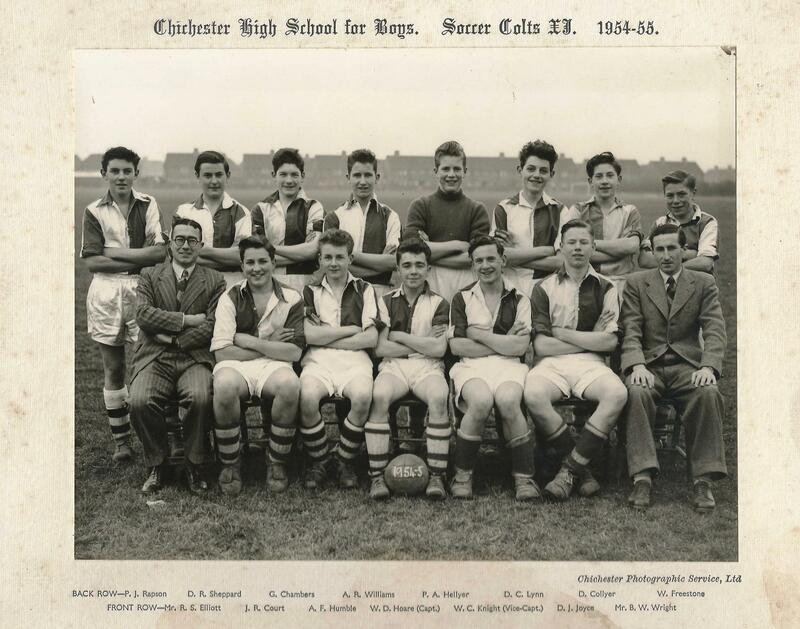 There has been a great response to the announcement of the 90th Anniversary celebrations of the founding of Chichester High School for Boys to be held at the School on Saturday 20th October this year. The Old Cicestrians Association is still keen to contact more former students and staff whether they left last year or 60+ years ago. Even if you cannot make it on the day, your memories and any photographs, videos or other memorabilia you can lend would be really appreciated. You can get in touch by emailing CHSB90@oldcicestrians.co.uk. More details can also be found using this hyperlink. Today we publish a major update on David Horlock in the form of an erratum kindly provided by Ian Andrew. Full details of our Summer Outing 2019 to the Isle of Wight Steam Railway are published today on the Events page. Please book early! Please see reactions to Alan Green’s excellent work as our archivist and in particular for his history of how we managed to acquire and maintain such a magnificent collection at the West Sussex Record Office. 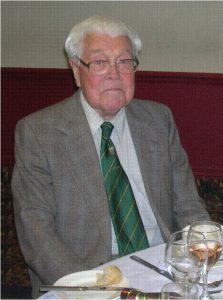 Harold Taylor, a former member of the Old Cicestrians, has died aged 92. He was one of the few Lancastrian students who joined our group. Laurie Lillywhite, an old boy, has died aged 85. He was a contemporary of Geoff Wills and Norman Reynolds. Bognor Golf Club (Downview Rd, Felpham, PO22 8JD). Donations to Frimley Park Hospital Stroke Appeal welcomed, via Kevin Holland Funeral Service (www.kevinholland.co.uk). Please look at the new Galleries that have been provided by Peter Ansell of his many School Play appearances and John Lloyd (CHSB 1946-1954) has kindly sent pictures from his era; both have promised more to come. I am trying to contact other chaps who attended Chichester Boys High School. I was there from 1951 until the summer of 1956. Mr Anderson was the headmaster. I am a retired Merchant Navy Captain, now living in Swansea but I have family in West Sussex. The first part of our 2018 Annual General Meeting can be viewed by clicking the left-hand picture above. Whilst filming this, I was inadvertently elected to the post of Hon. Treasurer! 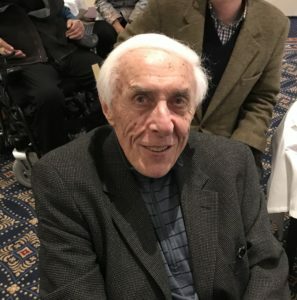 As we arrive at yet another AGM and Christmas Luncheon on December 5, 2018, how appropriate it is that our President has written the story of how the Old Cicestrians Association was resuscitated on the occasion of Frank Haill’s 90th birthday. Please click below to read the sad story of two of our old boys who disappeared from the face of the earth in 1968. Two new Galleries are now available. Marcus Rumpus kindly sent his personal photographs and Clive Sayer provided several that illustrate our successful CHSB90 celebration. Please note that the AGM final agenda is published today under “Events”. You will also find a copy of our Chairman’s Report by Bill Allen that will be presented to members at the AGM. Please make every effort to attend and join in the debates and voting before the Christmas Dinner that follows. We are pleased to publish today a piece by Hugh Allman who is ninety-one and blind. He lives alone but is still interested in the world around him and enjoys talking to Old Cicestrians at length about his long life and how much he owes our old School. His older brother also went to the School. He joined the Royal Airforce but was killed flying a Hawker Hurricane after the war. Normal service resumes after the glorious CHSB90 Event which so many Old and Current Cicestrians helped to make such a success. Special thanks have to go to Our Chairman, Bill Allen and his subcommittee members who worked so hard for so long on this celebration of a school with a wonderful past and an exciting future. and lastly the catering staff who made sure us oldies were fed and watered in such excellent fashion! A party of twenty-nine members and partners joined our annual summer outing on Thursday 27th September 2018. The dictum ‘thorough organisation’ soon took a knock when travellers found long hold-ups on the A286 Birdham Straight. Yes, you guessed it, two men digging a hole in the middle of the road. This meant that we eventually slipped away from the Itchenor Jetty half an hour late. 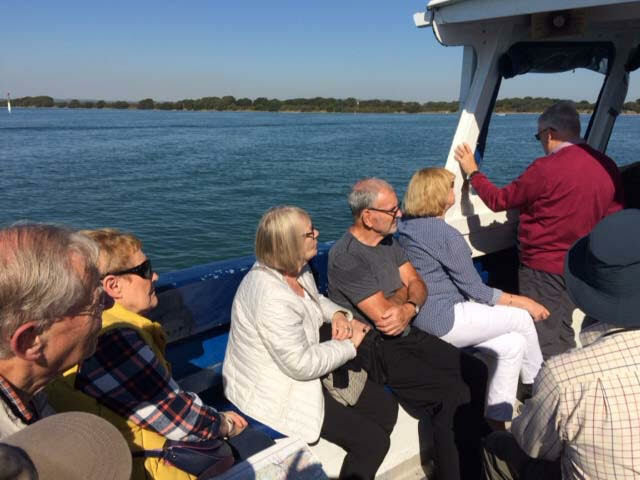 In perfect late September sunshine and on calm waters the ‘Wingate III of Chichester’ chugged its way down Chichester Harbour. The geography of it can be explained by stretching the fingers of one hand out. With so many inlets and channels, it is difficult to know where you are. However, due to an excellent commentary from our skipper-of-the-day, we were able to absorb the history of this beautiful stretch of water. On time we disembarked and sauntered up the road to the nearby Ship Inn for luncheon. There followed the standard kerfuffle by some trying to remember their menu choice followed by harassed waitresses frantically trying to deliver. It was all good natured and everyone settled down to chat over an excellent meal. To the lady who undertook a last-minute sprint down the jetty to catch her ‘cruise liner’ and all those who stoically negotiated the roadworks, I offer my thanks. All in all, it was a great day out. Please see Jack Tupper’s “Where are they now?” piece published today. Please see the latest stop-press news by clicking on the navigation bar on the left. Dave Smith and other former staff members will be fully involved in the CHSB90 day and boys will be there from the War years up to the modern era! This account of those from Chichester High School for Boys (The School) recorded on the School War Memorial attempts to set their brief lives in the context of the time and to pay tribute to their sacrifice. It has been prepared by a post-war generation that did not actively participate in World War II nor was it destined to live through any global conflict”. (An extract from Tony Cook’s summary of Colin Snook’s chef-d’oeuvre “The Fallen”). Please click on the link in the left-hand navigation column to read it in full. Highly recommended to all old boys. Glynn Downton has added some interesting colour to Keith Upton’s praise for the boy cricket scorer as described in his Cricket Gallery (see the navigation bar on the left of the homepage). Barringer and Marsh are published today. As Colin Snook nears the end of this important project, he and Tony Cook are working on a permanent bound version with an overview by Tony. Two more from The Fallen series are published today leaving only Messrs. Marsh, Barringer, Brooke, Hotham, Salisbury and Leppard to complete the boys named on our war memorial. Scot Baston has now enabled your webmaster to create new style Galleries to shew off your photographic memories to best effect. 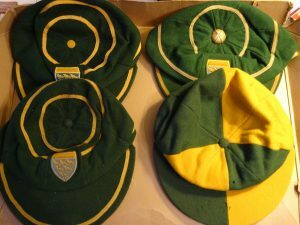 The first one is ready viz Keith Upton’s sporting memories and Sean Irwin’s will follow shortly. Watch for an announcement soon, please. In the Reminiscences section today you will find a conversation from 2012 between Keith Upton and Garry Allen who played rugby together in what was probably the best 1st XV in the School’s history. Several more in our series of tributes to The Fallen are published – please see “Latest News” to the left of this page. We publish today the heroic deaths of two old boys namely Mundy and Burnand. We publish today the heroic deaths of two old boys namely Harris and Payne. The latter was awarded the Military Medal for his bravery and conduct under enemy fire. Two more old boy war casualties stories are published today. Today we celebrate the life of Richard Trevor Ridings (aka Shakoor) who fell attempting to hold back the German Panzers as they poured through France in 1940. Enormous interest has been evident round the world for our forthcoming CHSB90 celebration on 20 October 2018. Please check your diary now to make sure you are there to meet and greet old classmates and meet the younger ones who will (soon) replace us oldies! Two more old boy war casualties stories are published today. Bull was one of the many killed by “friendly fire”. Prior to his glory days in The Fleet Air Arm, Brian was a fine athlete. Before leaving the School he broke the Athletic Records for the quarter, half and mile distances at Sports Day. Within the Bognor Regis Athletic Club, he was a member (with Roger Wardale) of its one-mile medley relay team which broke the Sussex County junior record. ‘Killer Colgan’ often vented his spleen at the Chi Boys who joined the Club, but his outbursts did not stop the trickle of talented athletes turning up round the County for regular Summer meets. But that is another story! The story of ‘The Transatlantic Air Race’ is riveting. In 1960 he was trained at the Empire Test Pilots School at Farnborough. Subsequently, he was seconded for two years to Patuxent River air base in Maryland, USA to test the Rolls-Royce powered Phantom jet fighter. It was for his outstanding contribution to the development of this new model for which he was awarded the Air Force Cross. If anyone is interested I have a Power-Point fifty image presentation detailing the Race as it progressed. I am lucky to have a copy of his autobiography. When Brian passed away I attended his funeral at Storrington; several surviving members of the three Fleet Air Arm Phantom teams entered in the race were in attendance. Only one master fell in the war but Kenneth Quick was a much-loved teacher and man. Colin Snook’s piece on him under our “The Fallen” heading today is moving. 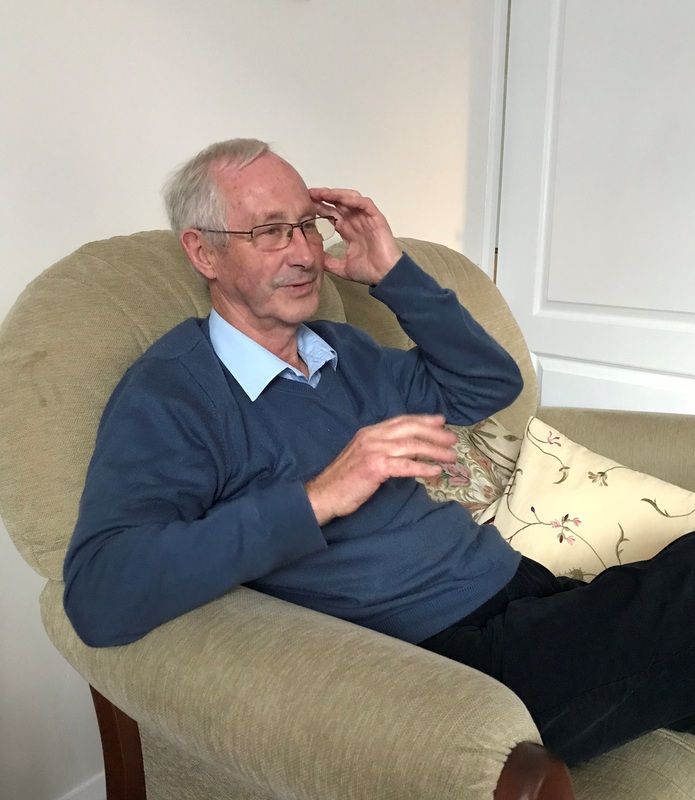 Maurice Cowell passed away on 14th February 2018 peacefully at home. 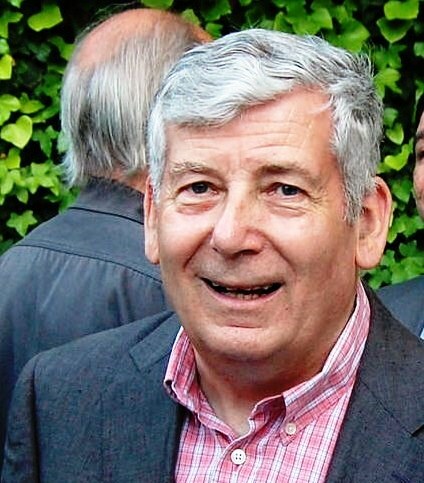 He taught English at School and was a great friend of Martin McGranaghan’s family in Bognor. The date and time of the funeral will be announced shortly. Today please find the “Where are they now?” article by Chris Moorey. You will not be disappointed. 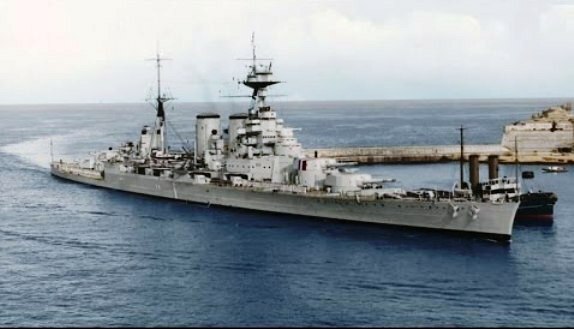 Many old boys gave their lives for King and Country in the War at home, abroad, in the air and at sea. 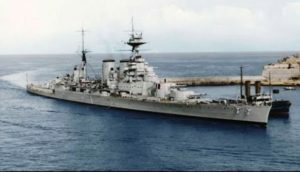 Sanderson was a young sailor on HMS Hood and her sinking not only cost him his life but dealt the Empire a blow which is still felt to this day. Please take the time and trouble to read his story in “The Fallen” today. Please read the information in the link below relating to our 90th Anniversary Celebration on 20 October 2018. We need as much information as possible from all Old Boys, please. We started our golf days in 2006, so this year is our 10th anniversary. We have had good support throughout the years with quite some efforts to make the event. We have had Old Cicestrians from Suffolk, the Midlands, Wales, and of course locally from Chichester, Bognor and Rustington;however the prize for the greatest commute goes to Jim Tomkins who came over from Canada and graced us with his wit and humour and not inconsiderable skill. In the main we have been lucky with the weather which always helps the enjoyment of the day. Maurice Hall kindly created with his considerable craftsmanship a trophy for the event being a golf club mounted on a plaque with a brass plate so winners names could be inscribed. This of course added to the enjoyment. Last year we had the unusual occurrence whereby the holder, the elder brother, handed the trophy to his younger brother. David Hampton presenting it to Eric In 2006 we started the event at the Cathedral course at Hunston which is a demanding course. In succeeding years we moved to the more forgiving Tower course at Hunston. In the last few years, we have taken up residence at Bognor Golf Club which has the benefit of having a number of old boys as members. This year’s event will take place at Bognor Golf Club on Thursday 5th July tee off high noon costing about £20 for non Bognor Golf Club members. Let us hope for good weather again. Please let me know if you can make it so we can reserve the right number of tee slots. Please see the fascinating addendum to George Stedman’s “Where are they now?” piece. Please contact Robert if you can help in any way. I attended from 1950 until August 1956. The leaving head was Mr Anderson. I am trying to contact other guys from that period. I do remember Robin Willard and Robert Rodney-Hudson, both lived in Bognor and Keith Vigers lived close to me in Bracklesham. I would welcome any pictures of those years and any possible contacts. Until I retired I was a Merchant Navy Captain and then Maritime safety consultant to the EU. Today please find two more in our series “The Fallen” commemorating old boys who gave their lives for King and country in World War Two. 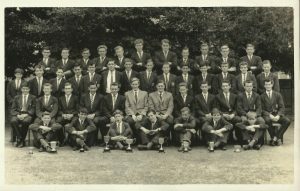 Please see the picture of the boys who gained exhibitions at Oxbridge in 1967 here. Another year has sped by for Old Cicestrians and we have lost a few on the way. I hope you enjoy the many fascinating stories that pop up all the time and that they mostly remind you of happy days. Please consider joining the Association for a measly £5 a year and also our Facebook Closed Group. Some of our discussions there make one wonder why Graylingwell was closed so early. I personally want to thank the Committee for putting up with me and Scot Baston for his masochism in dealing with my bizarre requests. I thought you ought to know that my uncle and founder member of the Grasshoppers, Lt Col. Robin Bellam, died after a short illness on 23rd December 2017 in Canterbury. Please feeel free to contact me if you require any further information, although I’ll probably forward your message to one of his daughters. A fascinating discussion recently took place on our Facebook page about a master who left a lasting impression, namely Tom “Jacko” Jackson. Click here please to read about him and some of the boys he taught in the 1960s. I have just spoken to Bob Saxby (1954-1961) on the telephone in Okehampton. Like me, he is a bit fed up with the weather which has meant no golf for two weeks. He is fit and well and looking forward to spending Christmas with his family as are most of us. He sends his warmest greetings to all his old pals from those many years ago when we were privileged to attend a great school. He added that he particularly remembers struggling with Chemistry but he must have made a good hash at it as he had a successful career as an industrial chemist. Please click the hyperlink below to open the photograph but also to see its component parts before Steve Holland used Photoshop to correct them and then stick them back together (original kindly lent by Bill Allen). Caveat: The “07panorama” picture will suffice for those boys with modest broadband speeds whilst the “Chichester School Final” one is much larger and will only work for the lucky chaps with decent broadband, preferably Fibre To The Cabinet (FTTC). It would be appreciated if anyone can fill in the missing Masters’ names, please. From Left to right: Uzzell, Smart, Collins, Ward, Smith, Haill, Dyer, Bop Riley, Murch, Lawton, Smedley, Morris, Lambert, Thomas, Dobson, “Tor”?, Ashton, Holland, Pelham, Reeves, Scales, Anderson, O’Brien, Stables, Pasquill, Buxton, Marwood, Siviter, Bassett, Wake, Hulbert, Powicke, Gahan, Language Assistant, Elliott, Taylor, ?, Wright, Wishart, Miss Lewis, Ayling, Cox. Two more tributes to the Fallen are published today as well as some news about our really successful Christmas Dinner. It was particularly moving to see Nick Carver there albeit in his wheelchair and fed by his wife as he became a tetraplegic three years ago after an accident. He is always pleased to see or hear form old pals from School. Peter Ansell who is still treading the boards has kindly posted a picture of the cast of The Scarlet Pimpernel School Play. It is not always apparent from modern accounts that the terms ‘mumpsimus’ and ‘sumpsimus’ did not represent the king’s own assay at faux-bucolic neologism, but were an established (though not long-established) literary trope. In the following short discussion, I hope to demonstrate how an investigation of the derivation and precedents of the phraseology employed by Henry in his Christmas speech can throw some revealing light on the processes by which religious typologies were constructed and utilised in the course of the Henrician Reformation, as well as providing some points of orientation in that most formidable of terrae incognitae, the mind of Henry VIII himself. (Mick Reed, formerly of 2B). Please click this link to read more of the sad but fascinating saga of Sergeant Anthony Catton (RAF) who died in April 1940. Our Archivist has today published further important information which came to light recently. Yesterday we attended an active and informative Annual General Meeting and then partook of a truly excellent Christmas Dinner. After “Benedictus, benedicat per Jesum Christum Dominum nostrum” we settled down to eat the usual Christmas fare. Our new Chairman, Bill Allen, gave the after-dinner speech which was full of humour and wit. We were then treated to a supplementary address by Dr Mike J Tyrrell. Mike is a retired cardiologist and told me that he follows our news on the website which is partly the reason that he made the long journey across Canada and the Pond to be with us. He related many stories from his long career in medicine both here, at Harvard and then in Canada. He was not alone in paying tribute for his success to the masters who taught him and encouraged him. Geoff Wills our new President thanked and congratulated our speakers before closing the proceedings at 15.00 hours. We are delighted to add Michael Bootle, yet another prestigious writer, to our “Where are they now?” series. ‘It is with deep regret that we record the death of the first of our Old Boys in the War. Thomas Targett, a boy gunner in the Royal Navy, lost his life in the sinking of the Royal Oak, and our sincere condolences go out to his parents and to his brother in the School. His lively personality and abundant energy made him conspicuous at School and the same qualities that made him popular with us gained for him the liking of his fellows in the Navy’. A new series starts today on the President’s mission to complete a piece on every boy who died for us in the war. Another famous Old Cicestrian passes away – John Wickham was at School with Geoff Wills and I am grateful to him for researching the Martlet and to the Times of London for the Obituary republished here today. A gem from our archives shewing how Geoff Wills started at the School in 1943. This website would not exist today if it were not for Geoff. The School’s 90th Anniversary – a note for your diary. This spectacular event is scheduled for 20 October 2018 so make sure you have it in your diary now. It will take place on the new school’s campus and in particular in the Planetarium, the biggest one outside of London. A piece of nostalgia for the older Old Cicestrians – please visit the Events Page to watch a short film of the 1989 School Jubilee. I am delighted to draw your attention to the “Fond memories of Old Boys” section where I have today added a piece on George Stedman. You will have a chance to meet and greet him again at the Christmas Dinner on Saturday 2 December 2017 at the Chichester Park Hotel near the Rolls Royce factory in Chichester. We have our AGM at 11.00 and this is followed by drinks, a splendid meal and an address by our new Chairman, Bill Allen OBE. All are welcome and the price is a modest £19.00. Please contact John Child or any member of the committee using the Contacts page on this website. Excellent news. Two old boys from the 1953 – 1961 era have resurfaced in the last week or so, namely Stedman and Saxby. Please keep looking – there are many more we need to find before the final whistle. George Stedman is shewn here with Geoff Wills. 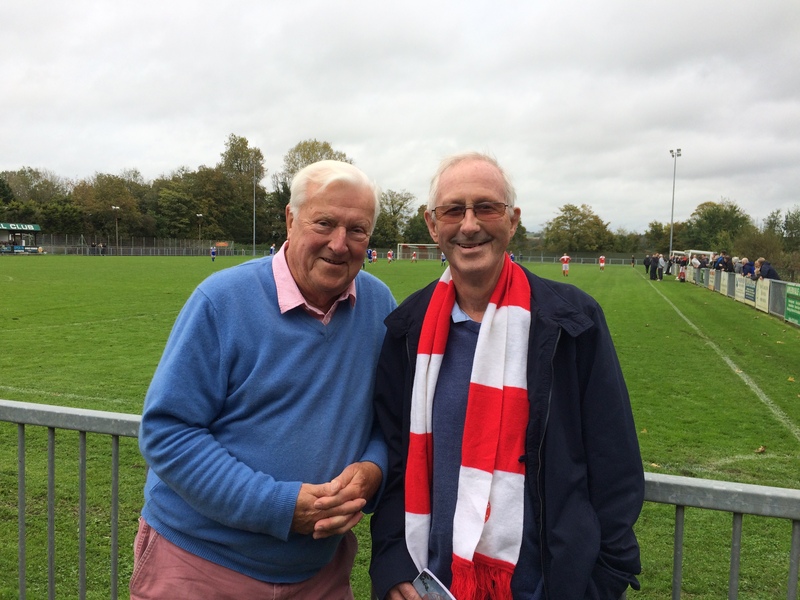 Both played for Arundel FC and they even managed a few games together. I have also uploaded some interesting pictures from Martin McGranaghan which you can find in Galleries: Various School Photographs. Scot and Juliette are married. Message from our web provider Scot Baston: The rumour is true, and I have now taken leave of my senses and getting married. I will be back in action on the 11th September 2017, assuming the world is still in existence after I enter wedded bliss. Please take some time to read Martin Everard’s fascinating piece published today as Martin Everard bis. I have also added a post scriptum to his first article. 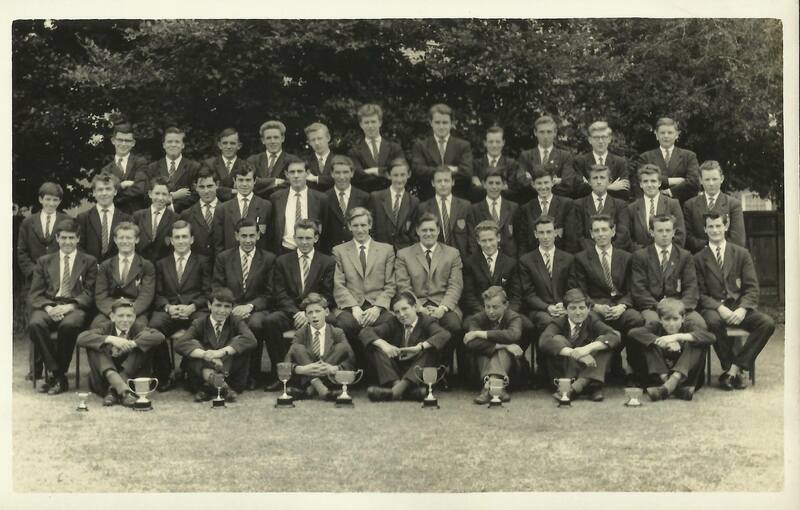 Martin McGranagan has kindly sent us a photograph of the School Prefects in 1964 which you will find in Galleries. I have also added a Facebook picture and discussion started by Tony Cook about a 1963 Marine Biology Group. Nigel Tomsett left the School in 1939 and was a classmate of Sir John Herbecq and Geoffrey Barnard (please use the search engine above to read about these old boys). The president recently visited him to find out if he remembered anything about “The Fallen” – our Old Cicestrians who gave their lives for King and Country in World War two. Today we publish his findings. Yet another Old Boy who succeeded in the Media industry. Today we publish Martin Everard’s piece for our “Where are they now?” series. It is well worth a read and if anyone can add some names to the photographs Martin would be most glad. Time passes quickly I am sure you all agree. Our Canal Cruise is just round the corner. It is tremendous value for money at just £17.50 with luncheon and a drink. Please click on the relevant link on the left to read more and make your reservation now. Please see the piece by President Snook on his favourite “Doodlebug” in the Facebook section today. We are delighted to announce the return of a popular event organised by the Old Cicestrians Committee. It will be taking place from the Chichester Canal Basin on Friday 6th October 2017 from 12.30pm for a two-hour duration. We are particularly pleased to welcome our own Old Cicestrian guide Alan Green for this trip; he will be explaining the rich history of this section of the canal. Please take some time to read the stories about “The Fallen”, our brave Old Boys who died for King and Country in the Second World War. Our President took up a plea from Ian Walters that proper consideration should be given to them. He is still engaged on this noble task. Please read Marcus Rumpus’ piece on the canals connecting Chichester to London and his part in restoring them. I am back from this year’s cross-channel sailing lark. I am pleased to say the worst experience this year was listening to a lone Scottish piper as he walked up and down the Calais Marina wall. On the other hand, we were treated to a Spitfire fly-past for us as we left Ramsgate for the last leg home. I have updated Bruce Morton’s “Where are they now” piece and see some similarities with my own Prep School and KD experiences. Baking in the heat on our small yacht in Calais Marina and hoping for favourable winds for a return to Blighty tomorrow. Bruce Morton has provided some reminisces of his time at the School and has promised more to come. I received this important message from Alan Green today and hasten to let everyone know as soon as possible. Please spread the word as safeguarding our archive material for the long term is all the more important as each generation passes. From the Hon. Archivist, Alan Green. Since volunteering to be the OCs archivist earlier this year I have taken delivery of piles of material from Martin Dawes-Chew, who was the previous custodian and have catalogued it all. The catalogue is to be found here and it will be updated as new material is added. You will see that it comprises photographs, newspaper articles, items relating to members of staff, items of school uniform etc. as well as documents and photographs relating to the Old Cicestrians as a body. It is intended that our archive will be gifted to West Sussex Record Office (WSRO), who already hold the official CHSB archive, where it will be cared for professionally in perpetuity, and be readily accessible to the public. This does not apply to the uniform items as they do not fall within the WSRO collecting policy so I will store them. If the catalogue inspires you to look out some of your own CHSB memorabilia and feel you would like to donate it to our archive please get in touch with me – email – agreenzone@aol.com, tel 01243 784915, address 10, Stockbridge Road, Chichester, Sussex PO19 8DP. If you are donating photographs it would be helpful if you could identify those who appear in them, the dates and, if not obvious, the occasion. This year’s Old Cicestrians’ golf day will take place at Bognor Golf Club on Thursday 29th June. The event is an individual Stableford with tee off at 1 pm. The cost for non-Bognor members is £20. The obituary of Martyn Ives Vesey 1959-1965 is published today. Thanks to support from Benenden Health and the A&E at Broomfield I am fully recovered and “Normal service will be resumed as soon as possible (BBC TV in the old days when the service was on the blink as was often the case”). I regret to say that I suffered a minor heart problem recently and consequently have a backlog of work. I apologise in advance if updates are less frequent than I would like. It has been our aim in the pages that follow to try to indicate the essential continuity of the School. Readers may at first wonder at some of the contents. But it is hoped that they will acquire from them a sense of perspective, and will learn to see themselves if they do not see themselves as such already, as part of a community with a tradition, honourable if short and with achievements to its credit of which they may well be proud. For our past members, we have tried to produce from our records such summaries as will remind every Old Boy of the School as it was in his day. This is our sole excuse for the homeliness of some of the details given. Lists by themselves cannot call up an adequate picture of the seething life which has always existed here. But with the aid of personal memories, warmed we hope with affection, they should enable us all to recapture something of the feeling of earlier days. Every effort has been made to secure accuracy in the summaries. We cannot hope to have escaped errors and omissions, for many of our lists have been compiled by little groups of masters and old boys “revolving many memories.” We appeal to our readers to let us know our mistakes that we may correct them. Please read about Geoff Wills’ life at School and in cricket. Please click here. Please see here a short obituary of another Old Boy with an artistic bent. Ken Woodfield lived in a house in Leicester he named “Martlet”, as I once lived in a Normandy cottage which I named “Martlets” (RDWK). His widow has been kind enough to write to us with a short piece on his life and love of painting and I have added a piece by the Leicestershire Sketch Club with some of his paintings. Read how Prefects nearly wore Boaters in the Summer instead of Caps! Please see Barry Capon’s reminisces of his School days. Please click here. Please read Martin Fagg’s Obituary and let the webmaster know any further details of this extraordinary man’s life at the School. Please click here. More memories of a Chichester evacuee by Monty Clarkson, Old Thorntonian (1935 -1942). Please click here. There has been a lively discussion about The South Country, by Hilaire Belloc (1870 – 1953) on our Facebook page recently. Chris Moorey suggests that it could be an anthem for the Old Cicestrians. Old Boys are encouraged to re-read Brian Cudmore’s obituary where this wonderful word picture of our beloved (West) Sussex will be found. Please click here. Hilaire Belloc, who has been described as “a Frenchman, an Englishman, an Oxford man, a country gentleman, a soldier, a satirist, a democrat, a novelist, and a practical journalist,” was born July 27, 1870. After leaving school he served as a driver in the 8th Regiment of French Artillery at Toul Meurthe-et-Moselle, being at that time a French citizen. He was naturalised as a British subject somewhat later, and in 1906 he entered the House of Commons as Liberal Member for South Salford. As an author, he has engaged in multiple activities. He has written three satirical novels, one of which, Mr Clutterbuck’s Election, sharply exposes British newspapers and underground politics. His Path to Rome (1902) is a high-spirited and ever-delightful travel book which has passed through many editions. His historical studies and biographies of Robespierre and Marie Antoinette (1909) are classics of their kind. As a poet, he is only somewhat less engaging. His Verses (1910) is a rather brief collection of poems on a wide variety of themes. Although his humorous and burlesque stanzas are refreshing, Belloc is most himself when he writes either of malt liquor or his beloved Sussex. Though his religious poems are full of a fine romanticism, “The South Country” is the most pictorial and persuasive of his serious poems. His poetic, as well as his spiritual kinship with G. K. Chesterton, is obvious. Please see recent correspondence with the Weald and Downland Museum. Cream Teas are mentioned! Please click here to see the first instalment of the film of our Silver Jubilee Reunion in 1989. “How lucky we were to live as Englishmen in England” Please visit the “From our Archives” section to see a video posted by Ian Walters some time ago. I have rearranged our Archives section and trust it meets with your approval. There remains a large amount of work to upload the entire Martlet library. Please keep your eyes on the “Latest News” and “Facebook Posts” on the left-hand side of this page. Here you will see and be able to read at the click of your mouse the latest articles and pictures etc. I encourage you all to try the search function found at the top right of this page as a magnifying glass. This is powerful and will lead you to any item you believe may be on the site somewhere. Today is a doubleheader! (Pun intended). 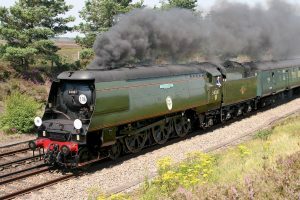 We share some memories of another Old Thorntonian’s time at School and a learned piece by one of the most enthusiastic train spotters ever to attend the School, namely Bill Allen. This article is reprinted from the Southern Way No17. Much discussion recently on Facebook about a picture of St. Andrew’s House in 1961. Please click on the Facebook menu above. I am delighted to publish today Ron Thurston’s memories of his time at our School as a Henry Thornton pupil from 1940 through 1946. 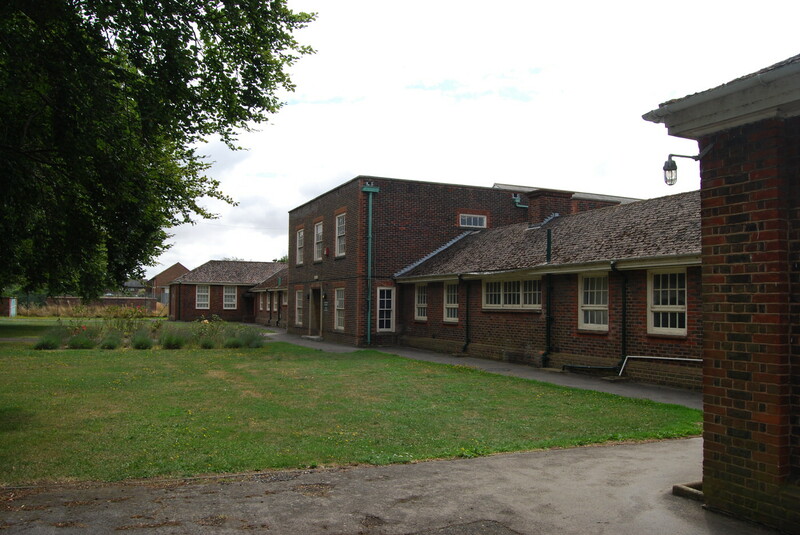 Glynn Downton (1956-1963) (glynn.downton@hotmail.co.uk) has started a conversation about the School’s punishment system in former times on our Facebook Wall. When compared with today, the words “Sublime” and “Ridiculous” spring to mind, n’est ce pas? Please read it and the numerous comments on our Facebook page above. I am delighted to post today Nigel Smith’s “Where are they now” piece and thank him for his contribution. I am sure we have had one or two famous wives of Old Cicestrians before but probably not as well known as his wife, Angela. Yet another story about our much loved Tich Morris. Please see this and a period photograph kindly submitted by Baz Taylor under Facebook. As you can see we have made a few changes to the site. The principal one is to allow the webmaster to communicate news, changes, events etc. to the reader on the front or home page. The one that describes what we are “About” is now a separate heading. There are some other adjustments which have been made to simplify matters. Please let the webmaster know if you feel the alterations are worthwhile. I draw your attention to the article on Grierson-Rickford under Obituaries and Facebook. You should also note that I have started adding minutes of annual and committee meeting minutes under Archives. Please note that committee minutes are only accessible with a password. Any committee member wishing to use this facility should contact the webmaster, please. I am greatly saddened to tell you that I have just received an email from Tony Deacock’s daughter-in-law to inform me that Tony passed away on Monday. I have replied to her sending our very best wishes and telling her of the very high regard we all had for Tony and his contribution to the committee. Please see the News section for some more insight into the courage shewn by Jez Parry after he left School. Our thanks go to Paul Taylor, another of the Bognor Boys, for having provided the information. Please note the death of John Cutler on the News page. I have taken the liberty of posting an account of my crossing to France in a small sailing boat and some of the things that happened to a couple of old, and now wiser 70 something, men. It is under News and titled Rubicon. As an occasional visitor to the Old Cicestrians web site I am always struck by the lack of pictures from my era (1963-1970). I wonder if you might wish to upload the attached scanned images from my early years at Chi High. I think they are both from 1963 or 1964 when I was in Mr Murch’s first form class (1X ??) and also a member of the famous Bug Club. I know I have another picture of me in the football 2nd XI, but I can’t seem to find it at the moment. I made contact with a few Old Boys from my generation via the Friends Reunited web site before it closed down and I’m always interested in keeping in touch with any OB’s from my time. On Her Majesty’s 90th birthday, I am pleased to post Chris Parr’s exciting “Life since School” piece. Yet again we have to marvel at the number and quality of our boys who have made their careers in drama. Well done Chris; I am proud to say I was in 2A with you! How lucky we were to have such educated, intellectual masters to form us whether it be in science, arts or, as in so many cases, drama. I have today uploaded some excellent pictures from Jim Snelgrove at the bottom of the Sports Team Photographs in the Galleries section. Can anyone provide names for the 1963-1964 Rugby XV, please? Just published Maurice Puttick’s piece under “Where are they now”. Chris Parr has written his and it will surprise a lot of chaps! What a fascinating bunch of stories are coming in. Thank you again to all those who have responded so far. If you have not been asked, we still want to hear from you whatever your age or period at the School. Please note the change in our School motto above. Bruce Clark has been in touch from Australia. I would like to thank all the boys that have taken the trouble to write to me with their stories of “Life after School”. I have a few in the pipeline, but there will never be too many. I have enjoyed reading them and I am sure you have. I have only just read this wonderful sermon by Canon Bartlett and thought it worth publishing as a stand-alone piece here on the News page and on our Facebook Wall. Martyn Watts (1954-1961)Sean Irwin reports that he received a note from Martyn Watts’ wife in Summer 2010 which said ” I felt I should write and tell you that Martyn died suddenly from a heart attack last December ” i.e. 2009. If you have not read Bill Allen’s wonderful piece then I recommend you should! I had the pleasure of talking to John Smale today. He is fit and well and has promised 500 words on “Life after School”. The greater than 10% mortality rate of School combatants in World War II is a quite shattering statistic. Could not our present Class of Old Cicestrians fund research aimed at compiling a replacement Honour Roll? Maybe have a word with the Chichester Local History Society? Maybe it could be a University of Chichester student research project? Let us thus leave a small mark of our own; or at least try. I have just spoken to Jim Porter (1954-1961) who is alive and well in Littlehampton. Chichester 1962The hyperlink below will take you to a silent film of Chichester in 1962 and will bring back many happy memories. This was posted by Ian on our Facebook Wall today. I thought it so good that I have copied the hyperlink above and my commentary.